Posted by Matt P. on 04.02.19 § Comment? My pick this week is a true throwback. It was a very different time, where there were at least 16 people in attendance and we needed a huge table. I’m pretty sure it was only the first of multiple stops that evening, after which I left my car and took a cab home I hailed on the street- because I didn’t have a cell phone and there was no Lyft or Uber. Others had cell phones, but no one’s cell phone had a camera to document this momentous occasion. It was only the second ever pick, my first RC ever, and it’s the oldest RC pick that is still open. 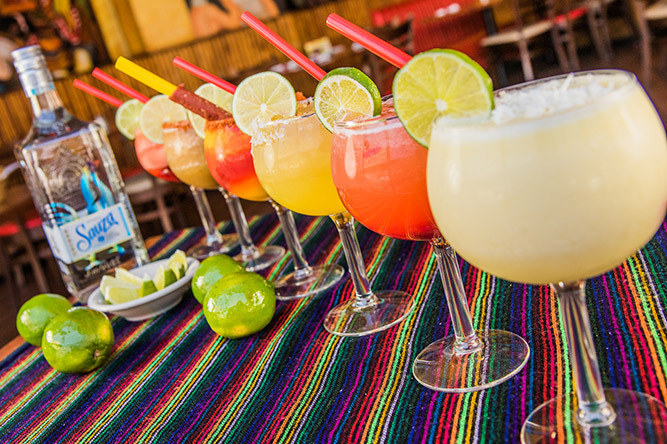 They’ve changed the name from Cesar’s Tacos, to Cesar’s Killer Margaritas, but since they still have over a dozen flavored margaritas in Large and Jumbo, they are simply playing to their strengths. Please join me this Friday to support this venerable institution 18 years, 11 months and 3 weeks to the day after RC #2 was held there. In another throwback, their website notes only one check per table and no split checks, so please bring cash- just like we used to! There is a Cubs game that day, but they are away, so hopefully the accompanying traffic will be too. Please RSVP by noon on Thursday.